This dal is one of my comfort foods. 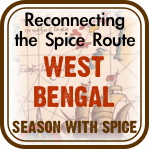 Every time I make it, the sound of the sizzling spice & the aroma reminds me of home, of my childhood…. 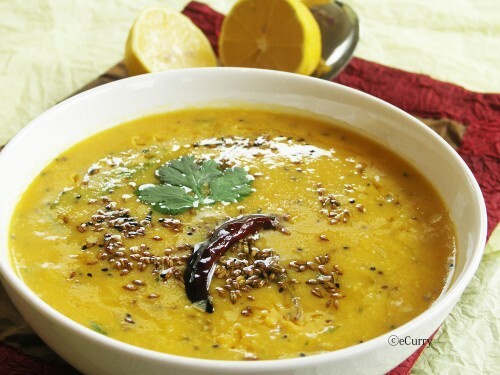 Masoor dal used to be a staple food for me – for I rarely would want to try any other dal. Why? Because I love the flavor these special spices cooked in Mustard Oil– yes that is what is used to season this dal. If you are not aware, traditionally most of the recipes in Bengal use mustard oil for cooking. It cannot be denied that the flavor that mustard oil adds can not be replaced with any other substitute. To season this recipe, you would need a very little of the oil- & I would warn that this would not taste the same without this particular combination of Mustard Oil & the Panch Foron (very commonly used spice mix in Bengal to temper lentils & vegetables….I have explained that later in the post). In Bengal, most of the times vegetarian means there would be absolutely no use of onion or garlic. There are lots of recipes which are cooked all vegetarian, this being one of them. Another ingredient that perfects the taste of this dal is a teensy bit of sugar. Well everyone knows that the Bongs have a sweet tooth, however the addition of sugar here is not to make it sweet, but for the balance of taste. Once cooked you will not taste the sugar, I promise. This is a fairly easy thing to prepare. It is as healthy as all lentils are… so if you like it like I do, you can indulge guilt free. Traditionally this dal is accompanied with hot White Rice, Crispy Shoe String Potato Fries & Fried Eggplans/Brinjal (Begun Bhaja) & a salad made out of Cucumber, Tomato & Onions thinly sliced & sprinkled with some salt & lemon juice… among other things. Boil in water the first 7 ingredients (Lentils, tomato, turmeric, salt, sugar, green chili) till Soft & Mushy. You can either pressure cook it, which is obviously the fastest way or can cover & cook till done. It will not have completely dried out. 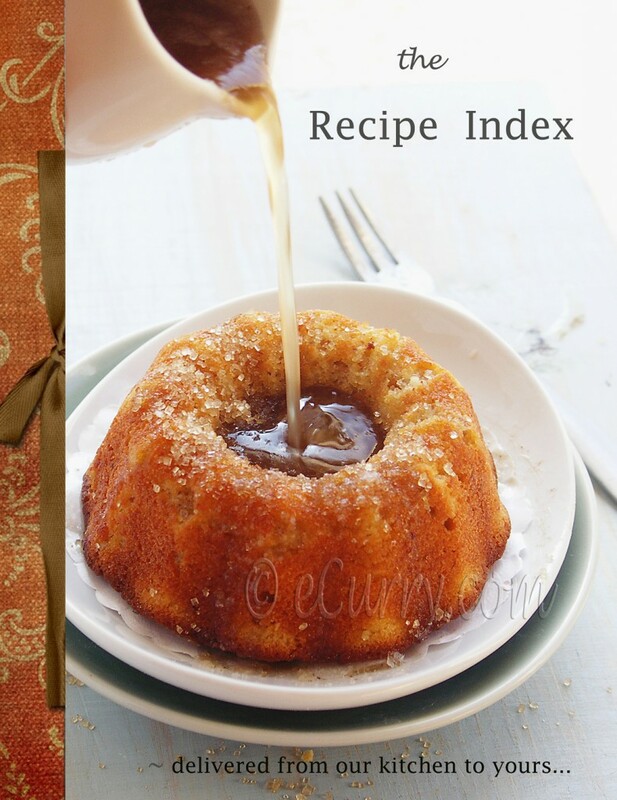 The quantity will more than double in the consistency of puree. If required add more hot water while cooking. Heat the Mustard Oil. Add the Red Dry Chili Peppers & the Panch Foron. These will start to sizzle & will start getting fragrant. Immediately pour all of it over the Lentils. Stir it in. (Alternately you can add the Boiled Lentils in the same pan with the Panch Foron, & simmer for about 10 minutes… this adds more flavor). Squeeze Fresh Lemon & Garnish with Cilantro/Coriander Leaves. Serve with Hot White Rice, Or Rotis or just have a warm bowl soup. Sending this to MLLA:Eighth Helping hosted by Susan (of The Well Seasoned Cook) herself & Think Spice: Mastic Gum or Fennel Seeds hosted by Ivy of Kopiaste to Greek Hospitality, & started by Sunita of Sunita’s World. This really sounds great. This is very tempting to make, but I am not familiar with kalonji and got disappointed. I am not sure how easy to find mustard oil either. Just out of curiousity, why does in Bengal vegetarian sometimes mean without onion or garlic? Small bottles of mustard oil are available in Indian Grocers. But if you want to try, go ahead with regular oil. From what I have heard.. here’s the reason for considering Onion & Garlic as non veg. They generate body heat when consumed. The main reason that non vegetarian is not consumed by many is not for killing but also the way it reacts to the body. The “brahmins” or the priest class is supposed to be total vegetarians, & they are supposed to keep the calm & stay away from “desires”… & the stuffs that generates body heat is not consumed. In Bengal the widows turn to (or used to) vegetarians, mostly becoz they were supposed to stay away from men & desires & arousals… hence away from any food that might cause it. Masoor Daal is my all time fav!! thanks for the posting. I also do masoor daal with Kalonji . 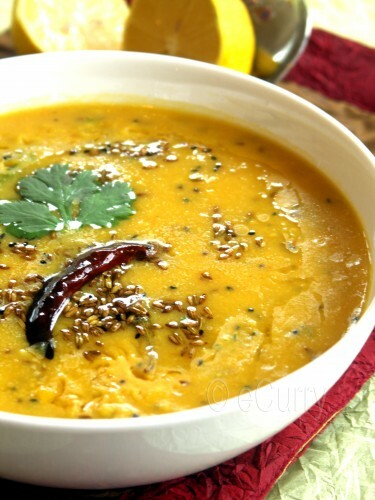 I ve panch poran at home, but never made dhal, sounds really exciting this dhal Soma! Thanks Cham… this is something which I grew up eating.. & I can eat everyday. panch pooran does make a difference in a dish.. i love it but don’t stock up in the kitchen… because it’s not used in south india. dal is anyday my comfort food too. Mahimaa I do not buy ready made panch Foran. Since I always have the other spices at home, I just mix them up equally when I need it. CONGRATS on the HHDD win Soma…BRILLIANT indeed. Love your blog & am glad I discovered it thanks to Meeta!! Thik bolacho Sharmila:) … amar bor shudhu kheto arhar dal… ar bocher por bochor amio tai khetam… & that was the dal which i used to hate & never eat. Sounds super delicious! Love all those spices. Thanks for participating Soma. Your daal sounds delicious. I agree with you on mustard oil. 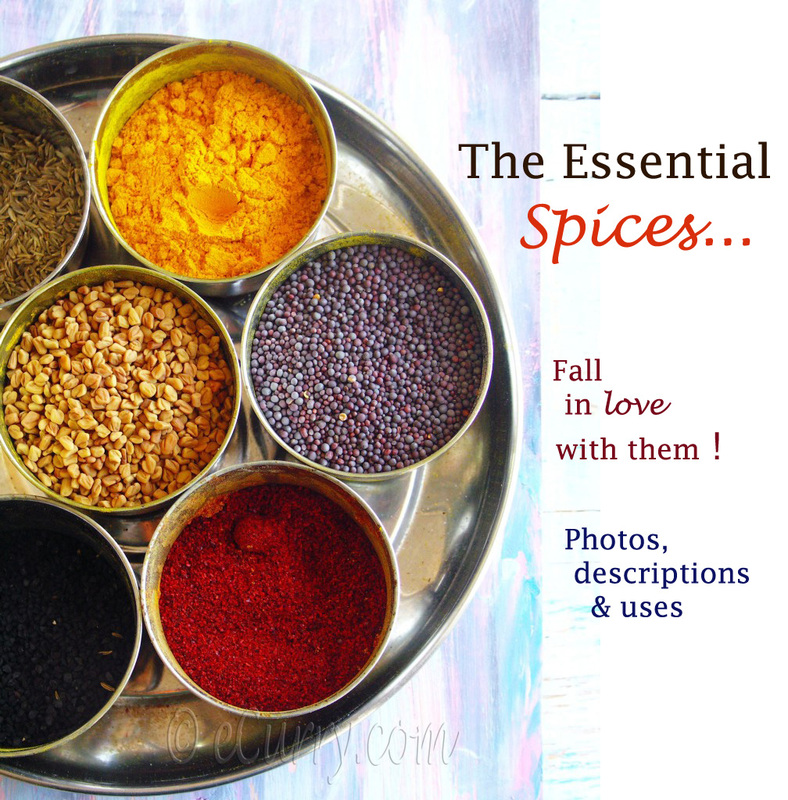 I use mustard oil when I make masoor, mili juli or tuvar dal, and it lends an awesome flavor!! Yours looks great – tadka is mouthwatering, and I have a similar picture in my archives!! Soma I love such dals. For me they ae anything but simple – full of flavor and just the right thing after a hectic week! I’ll try and get some mustard oil to see what it’s like. And to get a more authentic Bengali flavour, of course! I’m with you about the sugar. It really does bring the flavours together nicely, and you can’t really taste it. As I have told u before, yours looks ( & I bet it tastes) way better than mine, even if ther eis no mustard oil! Wowo it looks so yumm. I have never used panch poran. Congrats in wiining the book for the shrips sate. That looks so comforting. Bookmarked. I will try it soon. about paanch phoran, I had read somewhere about a spice called, Randhuni. Do you know what it is? I have never seen it anywhere in the Indian stores. Yes Radhuni is used in Bengali Cooking. I have not seen it in Indian stores either. I do not know if it is the same, but definitley closest to it is the celery seeds that u find here. I think its called the “wild celery”. also heard the name “Ajmud” (Hindi??) related to it. Congratulations on winning Meeta’s, enjoy the book. Simple yet delicious. Looks fantastic too. I heard of masoor dal only after coming here to the US and it has become a favorite of the kiddies. I have a packet of panch poran sent by dear Sandeepa, good recipe to use it on. I know Masoor dal is prevalent in the East & North! How sweet of Sandeepa:-) Actually if u have all the spices at hand, all u have to do is mix them in equal amounts to make the panch phoron. Wow tempting and alluring dal…..Congratulations on winning HHDD…. Hi Soma! This is pure mouth-watering and simply orgasmic! 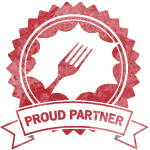 You have the most fabulous recipes and good eats.. beautiful and chic comfort food. Hi..It is simple and looks mouthwatering..Along with hot rice..this dhal is a comfort food..Congrats on the award.. Thanks Ashwini.. yes it is. The pics, presentation et al is excellent.. Great work buddy!!! 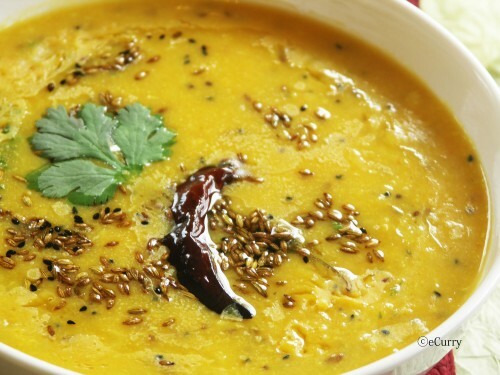 Nothing can be more tempting than a bowlful of dal! 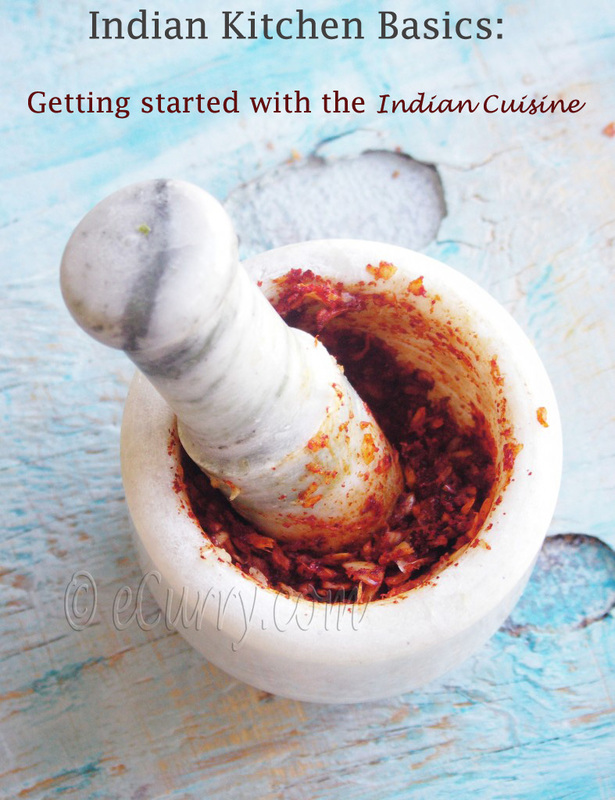 I bought kalonji a few months back just so I could make panch phoran at home, I usually use the other spices regularly. Congrats on HHDD Soma! Dhal looks perfect,a great comfort food. Congrats on the award Soma ! lovely colour,..and i was thinking of dal with other ingredients u hve mentioned,..yummy,..
Looks so beautiful. Isn’t it true, that simple things in life are the ones that are comforting. I have heard so much about mustard oil, but have not used it. I had it at a friends place when she added it for Dosas and loved the unique taste. Maybe I will get some from the grocery soon. I love Nigella.. .often use ’em in breads too. I’d not known that Bengal vegetarianism excluded onions and garlic, but did know that Jainism prohibits any root produce that would disturb or hurt a creature in the ground by pulling it out during harvest. This is a beautiful recipe, Soma. Mustard oil and panch phoran are lovely flavors. Thanks for sharing for MLLA8! yes Susan, the jains do not eat any root veggies. But I think in Bengal its a totally different reason. The photos are wonderful! Your soup looks delicious! Simply superb !! Looks tempting and worth trying..
That looks so good! Great photos! Oh wow, that dal looks amazing! The color is wonderful! Soma, you can make even dal look and sound amazing! I’m looking forward to tandori tofu! This looks great and am sure will taste delicious too. Did someone mention Tandori!!!!! The Dal looks stunning, gosh this looks so wonderful Soma! Think Spice… Think Twice, Roundup. Just found this via Tastespotting. This is almost exactly the recipe my Nani wrote down for me many years ago. I usually just do the bagaar/tarka in canola oil, but I think will get some mustard oil and try that. Also, she used to do a 3/4 to 1/4 masoor/moong combination and blend with an immersion blender if you want it to be more soupy. Delicious, and fool proof! should all the “seeds” that go into the Panch Foron be ground or whole? I am lucky that I can buy all these ingredients in local shops. I was a little concerned when I saw that the mustard oil I bought was labelled ‘for external use only’ but my concern only lasted a moment as I decided that it was unlikely to kill me. I made this to be quite thick rather than soupy and woolfed down the whole lot with wholemeal pitta breads (I kid myself that these are like chappatis when I can’t be bothered to make my own). Needless to say I loved every mouthful and this dish is going to become a regular feature in this household. Thank you so much for letting me know and very glad that you liked it!! It’s looks nice and i know that it will be delicious. I made this dal for the umpteenth time last night (it is unofficially the favorite dal of our household) to celebrate the fact that I have just bought my first packet of radhuni. It definitely adds another dimension to the flavor. I always thought that the substitution of mustard seeds doesn’t add anything other than keeping the spice count at five. There is already a string mustard element from the oil. One thing I found was that the dal needed a little simmering after the addition of the tempering because the radhumi seeds were somewhat harder than the other whole spices and delivered a rather intense crunch if eaten immediately. Nevertheless, as long as I can get my hands on it, radhuni will be 20% of my panch phoran. We had this dal for dinner tonight and it was delicious! Thank you Soma for this intensely flavorful yet easy to make recipe.